Players who have already conquered the likes of Pokemon Gold and Silver have a nice excuse to pick up the games when they re-launch tomorrow for the Nintendo 3DS: along with either copy of the game, players will be given a code that will unlock the Mystical Pokemon Celebi in Nintendo's upcoming Pokemon Sun and Moon and Ultra Sun and Moon titles. There's more new to Gold and Silver: in addition to the bonus Pokemon, the new 3DS versions of the games will allow players to trade and pattle their Pokemon using local ad-hoc wireless connections. And, of course, they're a great way to brush up on classic Pokemon gameplay and lore ahead of the November 17 launch of Pokemon Ultra Sun and Moon. Beyond these, buyers who purchase Pokemon Gold or Silver will be given a special code to download a new Nintendo 3DS theme inspired by the specific title they purchased. 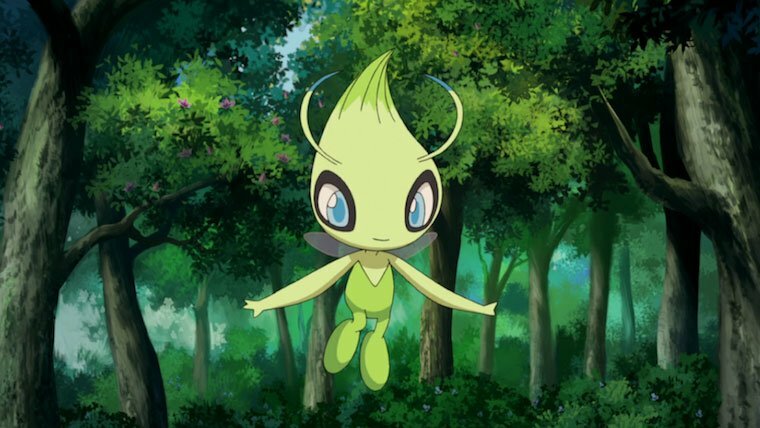 For all of those who are already on top of the Celebi giveaway, we've got all the information players need in order to download and unlock Celebi in Ultra Sun and Moon. The process is outlined below. The first step needed to unlock Celebi in Pokemon Sun or Moon is to ensure that a qualifying copy of Pokemon Gold or Silver was purchased through the Nintendo 3DS eShop. Assuming that condition has been satisfied, players can find the code by going to their purchase receipt. To do so, launch the Nintendo eShop from the 3DS system in question, navigate to the Menu in the top left corner of the screen, select Settings/Other, go to Account Activity, and then View Receipt. The code needed for Celebi will be on the reciept page for Gold or Silver under purchase details. Unlocking Celebi in Pokemon Sun or Moon (or Ultra Sun or Ultra Moon, depending on how long players wait) involves a similar process: first, copy or write down the aforementioned code somewhere convenient, then launch Pokemon Sun or Moon. From the main menu, select Mystery Gift, then Receive Gift, and then choose the Get with Code/Password Option. Press Yes a couple of times to be brought to a code dialog prompt; type in the code and sit back as Celebi is added to the game. From there, simply talk to a delivery person at any in-game Pokemon Center in order to pick up the mythical creature. Stay fresh on the Nintendo 3DS gaming scene by checking out some of the system's most popular titles, the likes of which we've featured over on our list of the Best Nintendo 3DS Games.